Kargil and the Politics of War, Rajesh Tyagi. Women and Globalisation, Jaya Mehta. The Kurdish Movement's Direction and Development, Revolutionary Communist Party of Turkey (TDKP). Documents: Georgi Dimitrov and the United National Front in China, 1936-1944, Vijay Singh. Udham Singh and the Death of Michael O'Dwyer, Lalkar. On the Character and Specific Features of People's Democracy in the Countries of the East, Institute of Oriental Studies of the Academy of Sciences of the USSR, 1951. 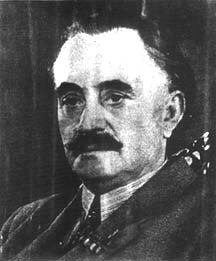 'We Shall Not Allow Criticism of Stalin', The Incidents in Georgia, March 1956, S.Stanikov. Democratic Rights and the Working Class, C.N. Subramaniam. The Workers' Movement in Russia: Facts and Problems, Proletarskaya Gazeta. Report on the International Conference of Trade Unionists Held in Oren, Turkey, Ashim Roy. Meritocracy Becomes Legal, C.B.B. Tilak. Delhi University: Whither the University System and the Teachers' Movement? Forum For Democratic Struggle. Open letter to the CPIML Peoples War, Committee of Concerned Citizens. Mahashveta Devi: An Intimate View, Pankaj Singh. Reflections on Nazim Hikmet, Asim Bezirci, Can Yucel, Aydin Cubukcu. A Sad Freedom, Nazim Hikmet.